After five years of working for Eastman Kodak, "Building really cool stuff that never made it to market," Paul Travers decided he was better off making sound cards in the basement of his Henrietta home. With his youngest child born that same year, some people thought Travers was off his rocker. He's now proven how working hard and believing in himself has evolved into this entrepreneur's Picture Perfect story. Travers started his entrepreneurial journey working on PC sound card development for Forte Sound. To gain the growth he needed, he soon partnered with the number one supplier of joysticks on the planet, Advanced Gravis. As success would have it, this partnership paid off in spades when the companies collectively brought a wave table synthesis to the PC, and in three years time licensed all of the technology to Advanced Micro Devices, one of Intel's biggest competitors. "For those of you who are starting companies, one way to fund it is through relationships with partners," said Travers. "If you can pay the bills by selling stuff that's the way the go. When you're running a company, especially a small company...if you can't keep the doors open it all goes to zero, so it's about cashflow." Now on a role, Travers and team quickly built and sold a second company leading him to believe entrepreneurship was easy, and everyone should do it! However, third time the snag as Travers finally felt the pinch of a venture pitfall while making virtual reality head mounted displays. "Oculus Rift was purchased by Facebook for 2.3 Billion and what we were making at Forte Technologies 1992 was very close...but it didn't have the resolution of the displays that we have today and that was the difference," said Travers. Back to the drawing board, Travers once again leveraged his relationships in the industry to attract investors and secure long-lasting partnerships, some of whom are still by his side today combating the wearables market. As President of Vuzix, Travers now offers people the chance to go places they can't go in reality with advanced, simulated wearable technology. 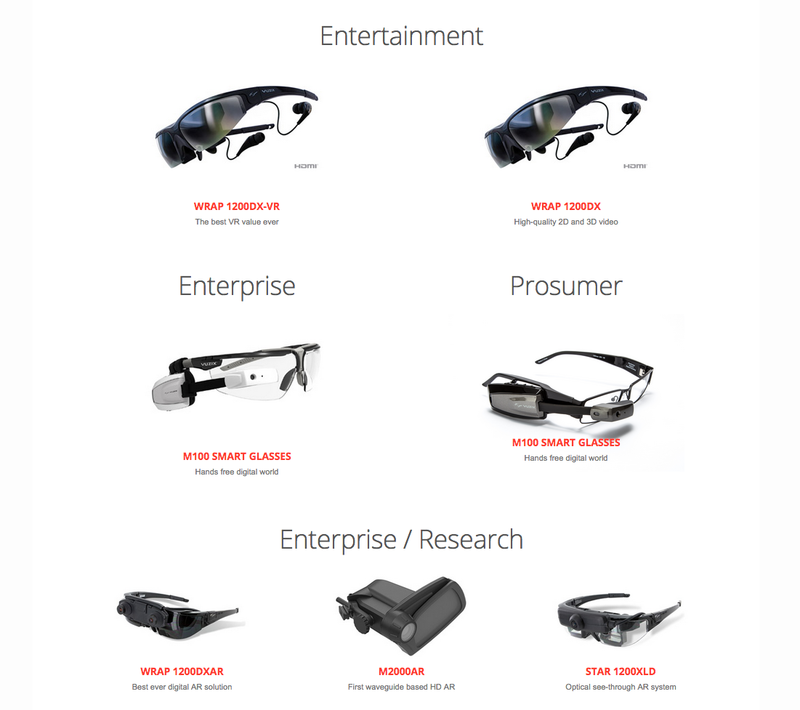 Vuzix is a leading supplier of video and cloud connected eyewear products in the consumer, industrial, media and entertainment markets. Based in Rochester, N.Y., the company's personal display products offer users a portable high quality viewing experience for industrial wearable displays and consumer digital content, as well as 3D, virtual and augmented reality experiences. "When you look inside this thing you see this great big image out in front of you like you're sitting in the row of a theater or IMAX system and it has tracking sensors built into it. What that means is when you turn your head and look around it literally looks like you're looking inside a 3D scene, so it's stepping inside a computer generated world." In a strategic partnership with Kopin Corporation, Vuzix soon became the number one supplier of video wearables for the defense industry, seeking to replace laptop display screens and massive power consumption with a pair of cool-looking glasses that provided the military with enough gear to land aircrafts. This work set Vuzix on a mission to unlock what Travers calls The Oakley Gate, each year getting closer and closer by creating amazing HD products, which lead to the launch of their first pair of smart glasses in 2013. Since then the team has sold thousands, with 40 companies on the Fortune 100 list having bought in. "What's cool about these is not only the high-res, it's got a CPU built into it to run on Android. Point of fact anything you can do with your cell phone you can do with these, minus the cellular radios, so you can't make a phone call with it unless you're Bluetooth connected to your phone. The cellular component will be available in some of our next generation products. Today this was designed for the enterprise market." Acting as a computer with a basic operating system in which you can run applications to augment reality, the bulk of Vuzix customers are in the enterprise markets. With the use of their handsfree computing devices, for example, manufacturers now have access to a wearable barcode scanner that can tell the user what's inside a box without opening it. Vuzix is also cornering the medical market, responsible for a cost-efficient solution by reducing the amount of emergency medical transports, as well as saving a bunch of lives. "We have people that are using them for post acute care facilities," said Travers. "Physicians at the hospital can literally be like they are standing there telling the technician to give an aspirin or get him (the patient) back to the emergency room." With only a small sales force, Vuzix continues to focus on partnerships as a key way to grow the business. Companies including SAP and UVMax are currently all building business around Vuzix technology through the creation of software and selling the products. Anchored on this revenue, Vusiz is now charging forward to perfect their smart glasses for the consumer market by turning them into a fashion statement. "It's an exciting time at Vuzix. We're convinced that this is just the beginning of this industry. I do believe that Vuzix is a leader in the space. Google is even sending their customers and partners to Vuzix," said Travers. In combination with opening The Oakley Gate, Vuzix is setting out to replace the smart phone. With over a decade of experience perfecting optics for the enterprise marketplace, Travers knows this is part of the reason why Intel has invested $25 Million in his company. "Our ultimate goal is the consumer marketplace. We want to replace the smart phone, and it won't be done just under the Vuzix brand. I'd love to think we could be the next Apple, however the wherewithal to do all of that is rather significant. That's why we're building relationships with companies like Intel, like SAP, so we partner with people that can deliver our quality products at a consumer price point." He asked us to think about the progression from printing out Yahoo Map directions, to using GPS. Travers then asked us to consider wearing glasses that provide an augmented reality to include an arrow on the road guiding you to the next ATM, making each experience personal. "With this you're going to take cloud based information and put it in the world as if it belongs there. You'll be able to reach out and touch the data, dial a phone number. Look down at a virtual watch you see through your glasses. Even mold a piece of clay, put it into the computer and out comes a product." As Travers continues on this journey to offer a new view of the future, he is also committed to staying in Rochester, N.Y., where the company is soon to move into a larger facility at the end of September. That said, Vuzix is hiring! Travers also encourages anyone interested in writing software for his wearable products to reach out. NEXT -> View Over 50 Free Apps Available Now in the Vuzix App Store! This video was provided to Upstate Venture Connect by our UNY Startup Ecosystem partner, RocGrowth, an excellent resource for Upstate NY entrepreneurs. 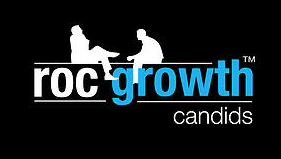 You can watch more stellar RocGrowth Candids video interviews on their VIMEO channel here.